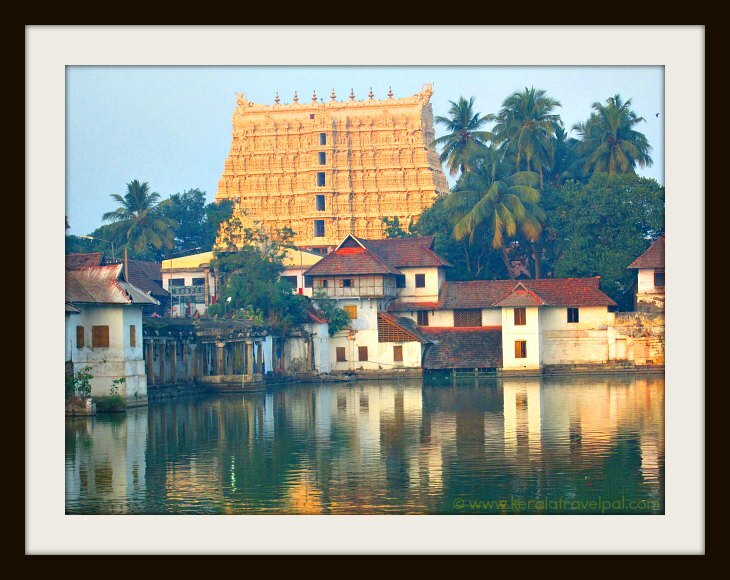 Sree Padmanabhaswamy temple is a shrine of abundance – both material and spiritual. One of the holiest shrines of Lord Vishnu, it was the centre of light for the Kings of Travancore, much alike their subjects. The Kings even surrendered their kingdom to the Lord and ruled as the ‘Servants of Lord Vishnu’ (Padmanabha dasas). Ananda Padmanabhaswamy temple lent a part of its name to the surrounding city, which used to be the capital of the Kingdom of Travancore. The city, currently the capital of Kerala, is still known by the same name - Thiruvananthapuram (the city of Lord Ananda). Trivandrum is the shortened version. Two sealed chambers within the temple, never opened in the last 149 years, were subject to lots of speculation. Stories about massive treasures inside were rife. The royal family, though not in power, still manages the temple. The current King was opposed to opening the vaults, as he feared it would displease the gods. However, there were those who differed in opinion. They thought any treasure inside was greatly unsafe because the royal family could not provide sufficient security. So a court case reached till the Supreme Court of India to open the vaults and to inventory any materials found. As per the order of the Supreme Court, the chambers were opened during mid 2011, by a selected panel of seven members, who represented the King as well as other interested entities. Mother of all surprises awaited them inside the chambers. Gold, silver, coins, jewels.........piles and piles of them. Going through the stuff took several days. Counting them was not possible, so they weighed stuff such as gold. The value of the treasure is north of 22 billion US Dollars! That figure is without including antique value. If antique value is taken into account, the treasure value could be well over 100 billion dollars! And the larger vault is yet to be open! Due to security issues and other concerns, there is no longer any hurry to open that vault. Sree Padmanabhaswamy temple is a great architectural piece. Taking the visitor’s immediate attention is the ornate monumental tower -Gopuram- which forms the eastern entrance. The Pandyan style Dravida architecture resembles that of temples in Tamil Nadu. Seven golden domes are fixed to the top of the seven storied tower. Near the eastern entrance is an 80 ft flag post made of teak wood and covered by gold leaves. The Corridor (Sreebalippura) is a prominent part of the building. As per temple records, 10,000 workers and 100 elephants constructed it in 6 months. The Corridor is elaborate with 365 and a quarter granite monolith pillars, each bearing intricate carvings. 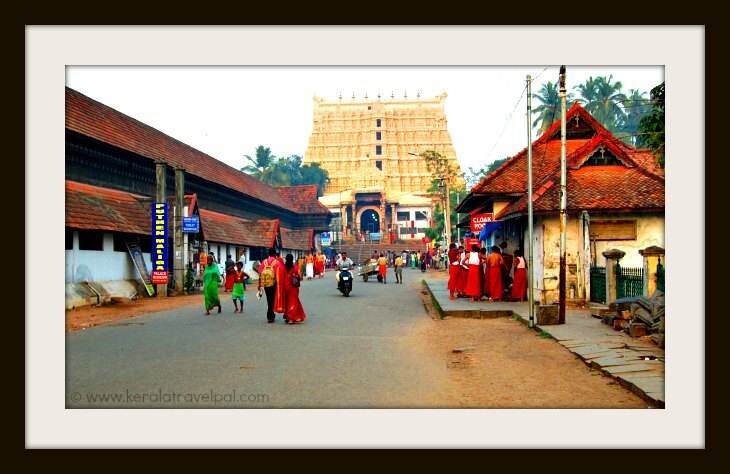 It leads to the sanctum sanctorum of Sree Padmanabhaswamy temple. The sanctum sanctorum holds the statue of Lord Vishnu in the form of Sree Padmanabha Swami, who reclines on Anantha, the mythical five hooded serpent. Just in front of the sanctum sanctorum is a large single stone platform called Ottakkal Mandapam. Cut out of a rock in 1731 A.D, the 20 sq ft rock is 2.5 ft in thickness. Another interesting store structure within the temple premises is Kulasekhara Mandapam (Kulasekhara Platform). It is also known as the platform with a thousand legs (Aayiramkaal Mandapam) because of the 28 rows of intricately carved pillars around. Tapping the corner pillars produces musical notes. The temple also has several mural paintings inside. Ananthasayanam, the 18 ft long artwork on the outer walls of sanctum sanctorum, is the largest mural painting in Kerala. It dates back to 1820. Padmanabha Swamy temple is located besides a large pond called Padmatheertham (lotus spring). Interestingly, there is also another temple within the temple walls. That is Thiruvambadi Sree Krishnaswamy Temple, considered as a temple of independent standing.